The Glaswegian was put in a medically-induced coma following his bout with Belfast’s Gallagher on 6 October. 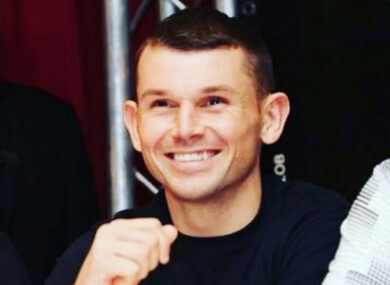 BOXER GARY MURRAY is awake and speaking as he continues to recover from injuries sustained during his BBBofC Celtic welterweight title scrap with Belfast’s Paddy Gallagher on 6 October. The 30-year-old Glaswegian, due to get married next year, suffered a bleed to his brain during a gruesome bout with ‘Pat Man’, and was brought to hospital on the advice of medical professionals who assessed him in the ring following his stoppage defeat to Lenadoon’s Gallagehr at Edinburgh’s Meadowbank Arena. Murray was put in a medically-induced coma and has remained in hospital since fight night. His management team, MTK Scotland, have today confirmed that ‘The Mint’ is awake and responsive following almost three weeks of treatment. We spoke with Gary yesterday and he is very grateful for all the well wishes received from everyone in the boxing community and beyond. Gary is recovering well thanks to the fantastic work of the medical team around him. Gallagher has remained in contact with Murray’s fiancée while the Scot has remained in hospital. Boxers from around Ireland, the UK and beyond, meanwhile, have offered their well wishes to the hugely popular ‘Mint’ and his family during a difficult three-week spell. The42′s report on the fight – which was non-televised – and the events surrounding Murray’s injuries, can be read below. Email “Gary Murray out of coma and 'recovering well' three weeks after fight with Paddy Gallagher”. Feedback on “Gary Murray out of coma and 'recovering well' three weeks after fight with Paddy Gallagher”.